I have a super colourful Zine Squad zine to share today! 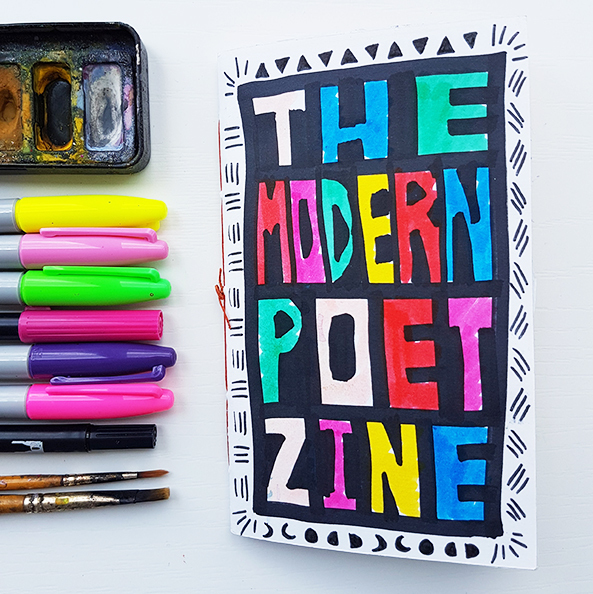 This is the modern poet zine, created for Rebecca. 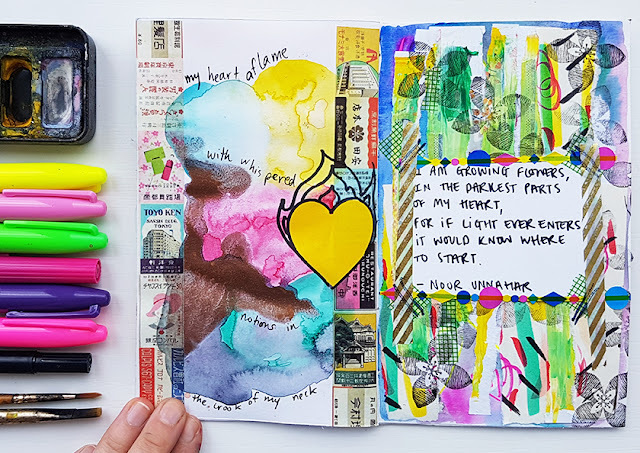 Rebecca is a true modern poet as well as being a fantastic art journaller, so this was a perfect theme for her and such a fun topic for the squad to work on! 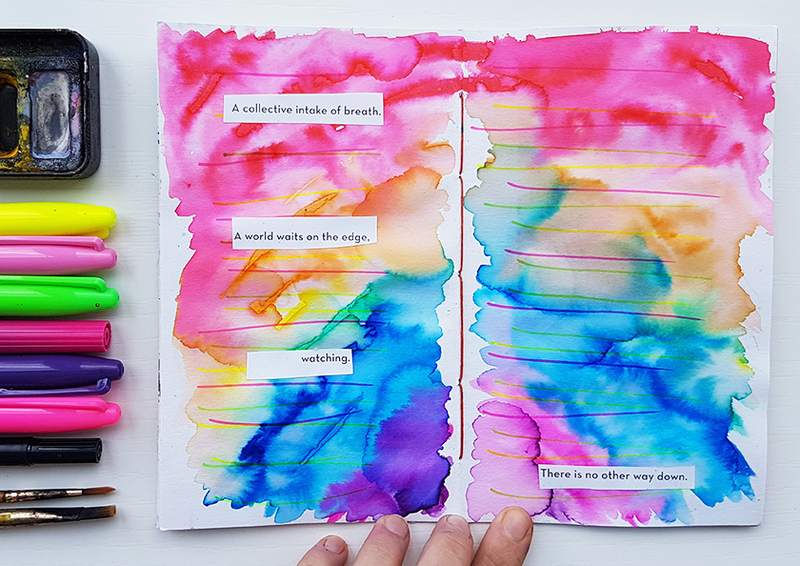 I wanted to compliment Katie's page on the right. 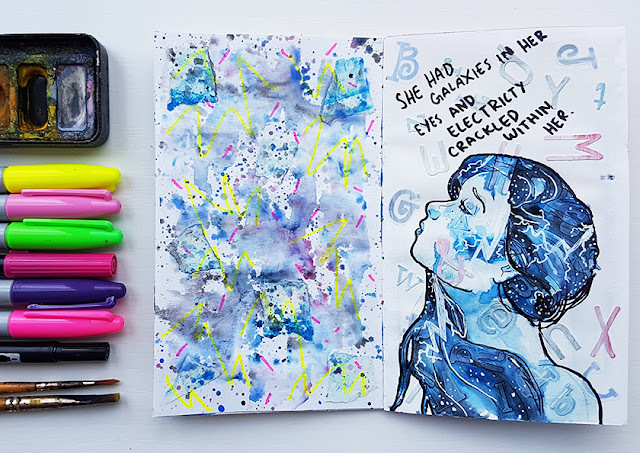 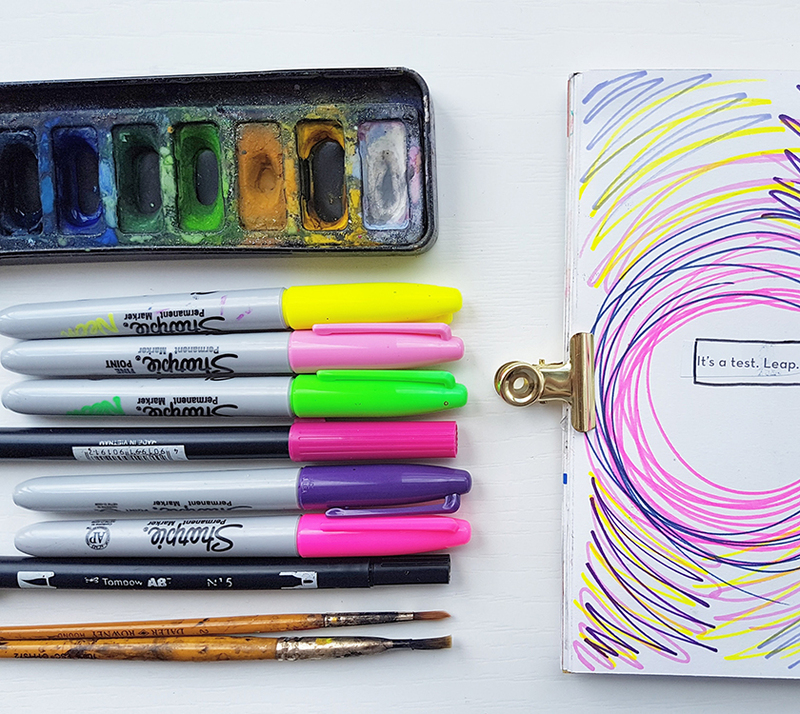 This abstract pattern mix of sharpie and watercolour ties the pages together without distracting from the galaxy girl. I used this poem in Oh Comely as my text and created my favourite inky background (in my favourite colour - rainbow) using felt tips and water. 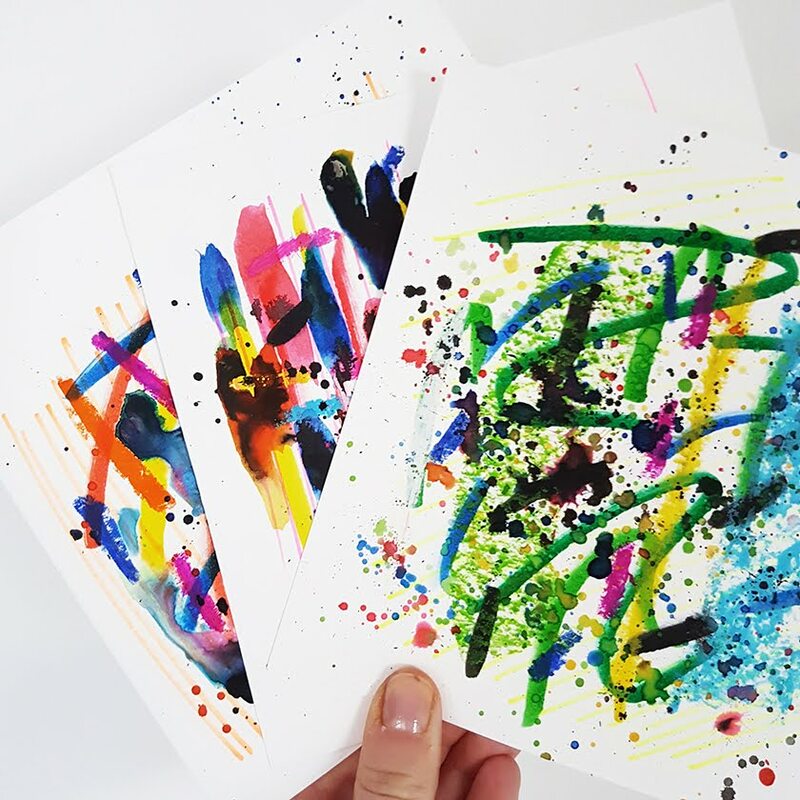 The sharpie stripes stay opaque even when drenched with water which I love! 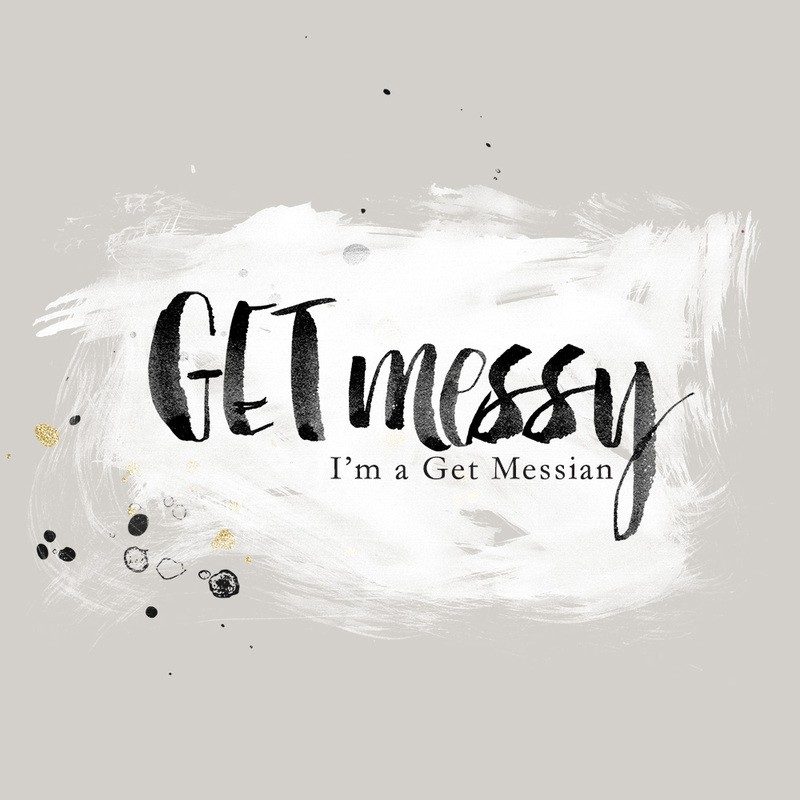 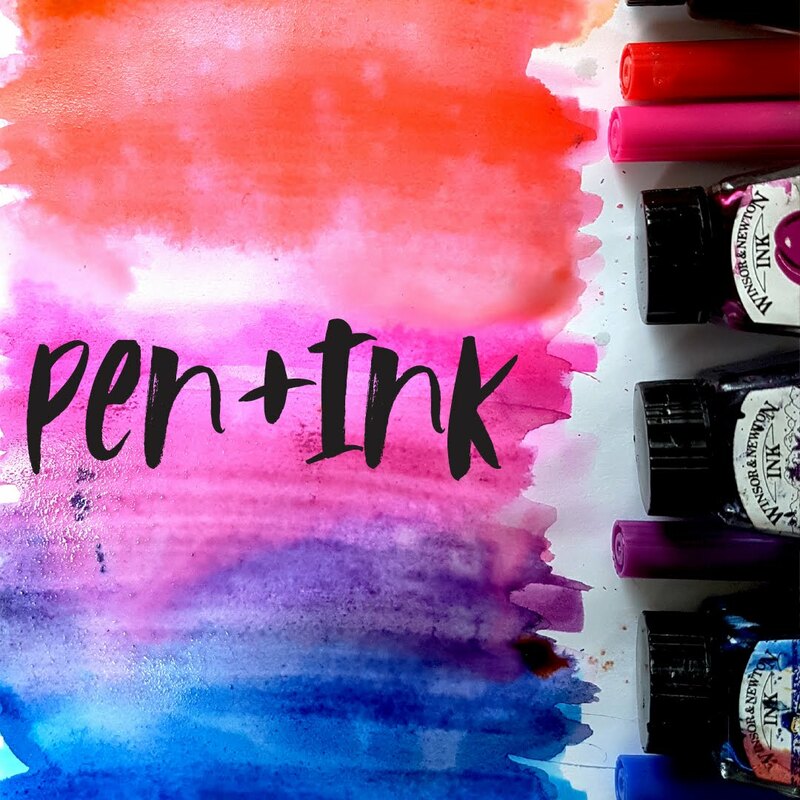 This technique is explored more in detail in my course for Get Messy; Pen + Ink. 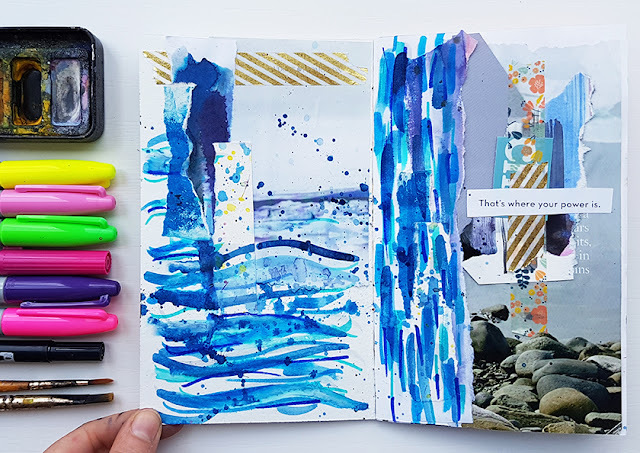 My page on the right is a real mix and match of colour and texture! 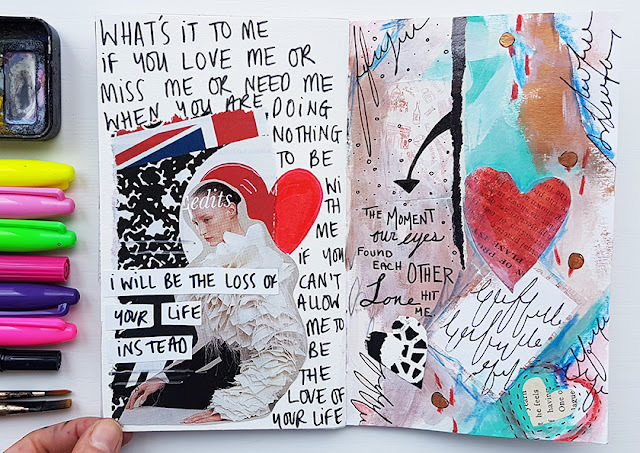 What would a modern poet zine be without a little Rupi Kaur?! 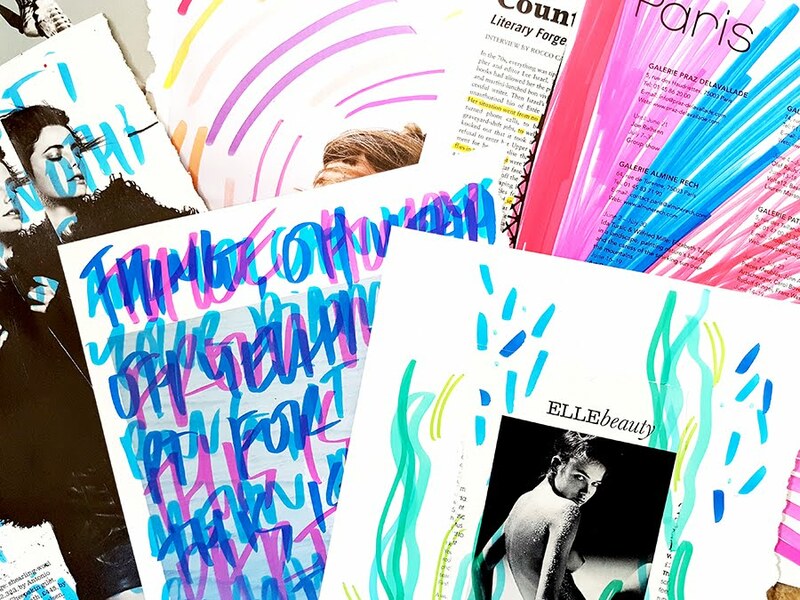 Be sure to check out the rest of the squads pages today too! 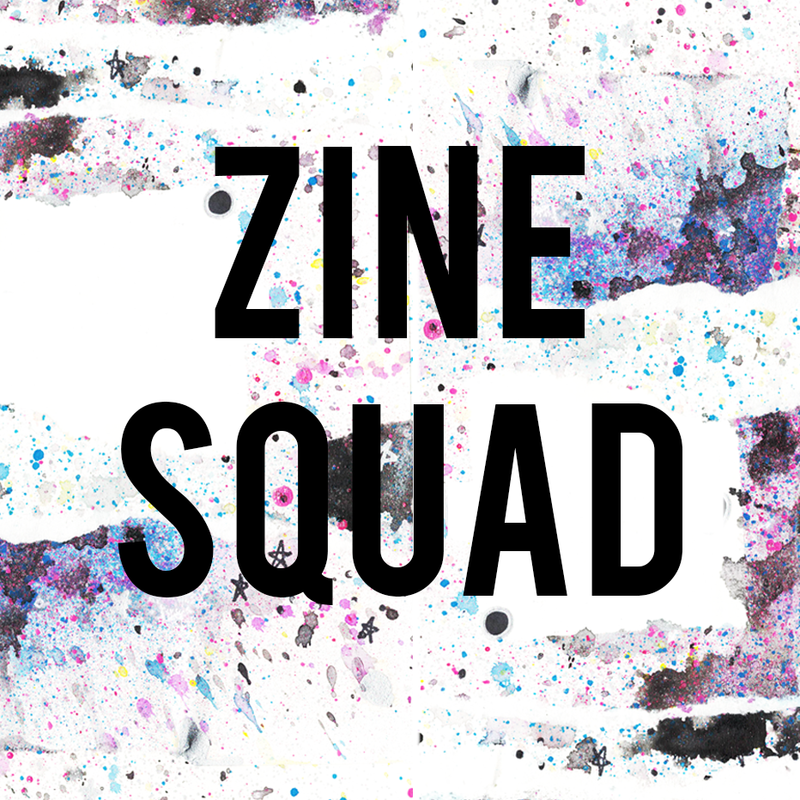 You can find all of our other zines here and to see sneak peeks and progress shots, follow @zinesquad on instagram!